All offered products are certified. In the technical documentation included data on chemical composition and set the percentage limits of the additives. Supplier «Electrocentury-steel» supplies sheet, tape incotestстандартных and custom sizes at an affordable price in a optimally short period of time from warehouses in Russia and Ukraine. Price sheet, tape incotest corresponds to the high quality products. Iron-chromium-Nickel alloy. 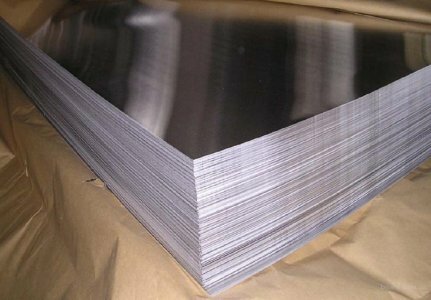 The Nickel gives the alloy ductility, corrosion resistance. Chromium increases the hardness, corrosion resistance. The addition of molybdenum gives the alloy high resistance to pitting and crevice corrosion in chloride environments. The presence of carbon in the range from 0.01 to 0.08% provides higher strength at elevated temperatures. Alloy heat-resistant, and retains its mechanical properties even at high temperatures. Excellent resistance to reducing and oxidizing environment to corrosive cracking and local effects of pitting and crevice corrosion. Maximum resistance manifested by the action of sulfuric and phosphoric acids. Used in the chemical industry, equipment for pollution control of oil and gas pipelines. Used equipment for etching, processing of nuclear fuel, production of acids and similar equipment. To purchase a CR-Ni rental provider Electrocentury-steel possible at an affordable price. The price of the sheet tape is formed on the basis of European standards of production. Buy a sheet, tape incotest at an affordable price, you can wholesale or retail. Regular customers can take advantage of the discount system of discounts from the supplier Electrocentury-steel.